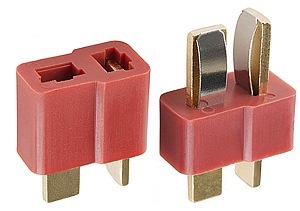 2 pin red wire connectors are rated for 30 Amps continuous duty and 60 Amps intermittent duty and are found primarily on electric scooters and bikes with lithium battery packs and brushless motors. 2 pin red wire connector set. Gold plated copper terminals with steel springs for a super tight hold. Solder connection terminals on back side of connectors. 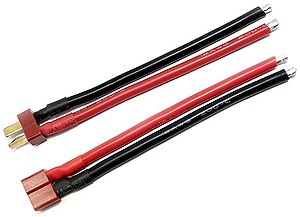 2 pin red wire connector set with 5" long 18 gauge wires. Commonly used for battery charger connections. Gold plated copper terminals with steel springs for a super tight hold. 2 pin red wire connector set with 5" long 12 gauge wires. Commonly used for battery pack to controller connections. Gold plated copper terminals with steel springs for a super tight hold.